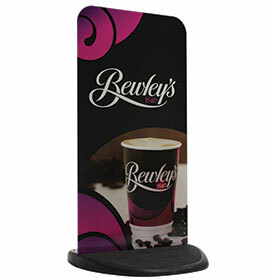 Spare panels for Ecoflex pavement signs. Spare or replacement panels for Ecoflexlite, Ecoflex 2 and Ecoflextra. 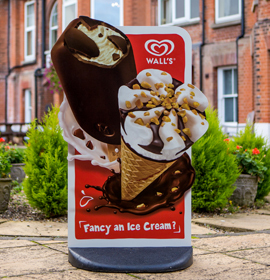 Plain white aluminium or black HPL chalk board panels suitable for self-adhesive vinyl or direct to surface printed graphics. Description All your Ecoflex Replacement Panels will be sent as individual units by parcel delivery. Your Ecoflex Replacement Panels will be sent in two separate deliveries – one by pallet, one by parcel. Gloss white aircraft grade aluminium or black HPL chalk board panels. Available plain or printed. 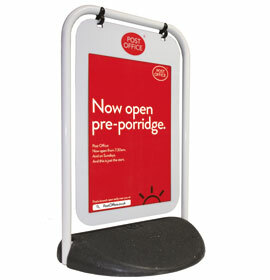 Suitable for self-adhesive vinyl or direct to surface printed grahics. Rounded corners for pedestrian safety.